Monsters Inc. Ride and Go Seek is an excellent shooter ride in Tomorrowland and one of the best attractions at Tokyo Disneyland. An interactive dark ride that utilizes similar technology to Toy Story Midway Mania. 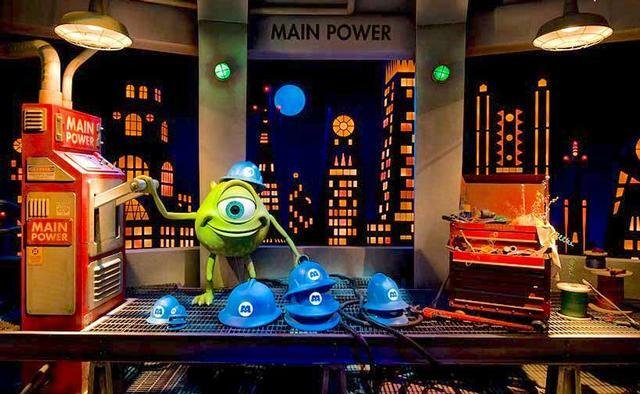 Riders enter the Monsters Inc Factory and board special security transports with flashlights so that they can play a city wide game of flashlight tag. Sully has invited Boo back to Monstropolis, which is the reason the game is underway. Everything that is seen is animatronics and no 3-D effects are used. Riders can shine their flashlights anywhere and something will react in a fun way. But be warned, rumours have spread that Randall is back in town.